It occurred to me that you might enjoy seeing a painting develop from the original thumbnail sketch to the finished creation. I've only included a few steps along the way for you to see. As you can see, it is a long process. 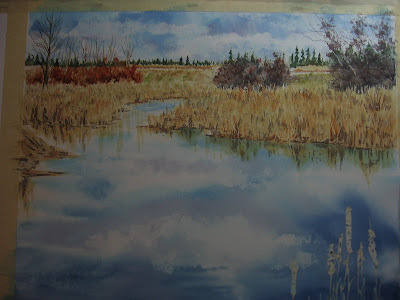 Thumbnail: I was drawn to the color of this scene and the way the majority of the sky was not actually in the scene, but rather reflected in the water. I knew that I would have to keep large areas of light in the river area which would also help draw the viewer into the painting. Second wash: I'm starting to lay in the background. 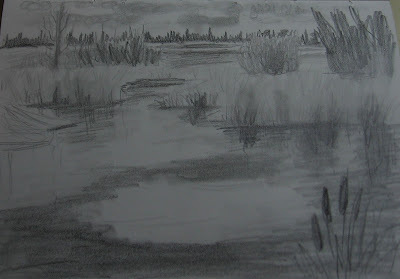 I wanted that clear band of light grass in the distance - again because it draws the viewer back and then around again. 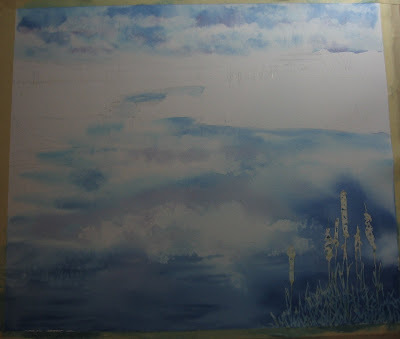 Third wash: Now the reeds/grasses/bushes go in. As I add color, I mirror the color in the water where the reflections will be. 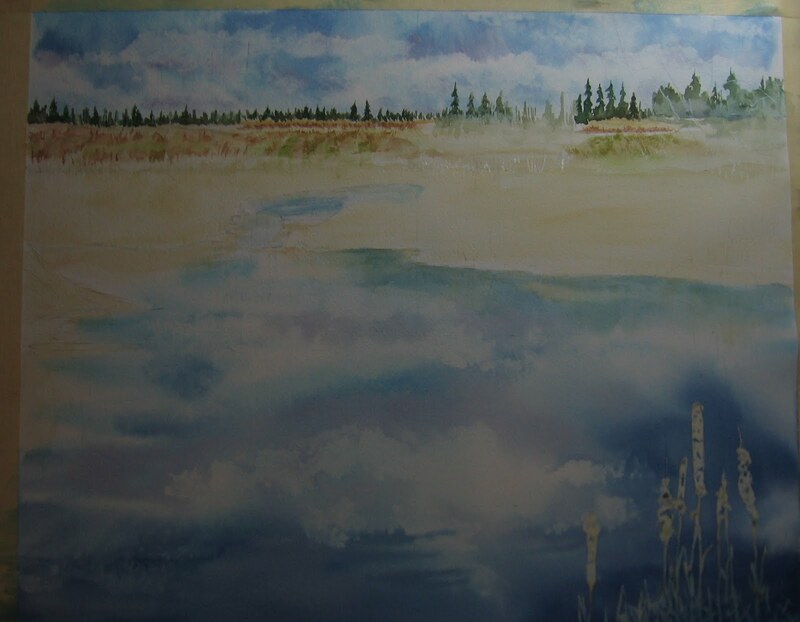 Fourth wash: Details added to help with definition and depth. 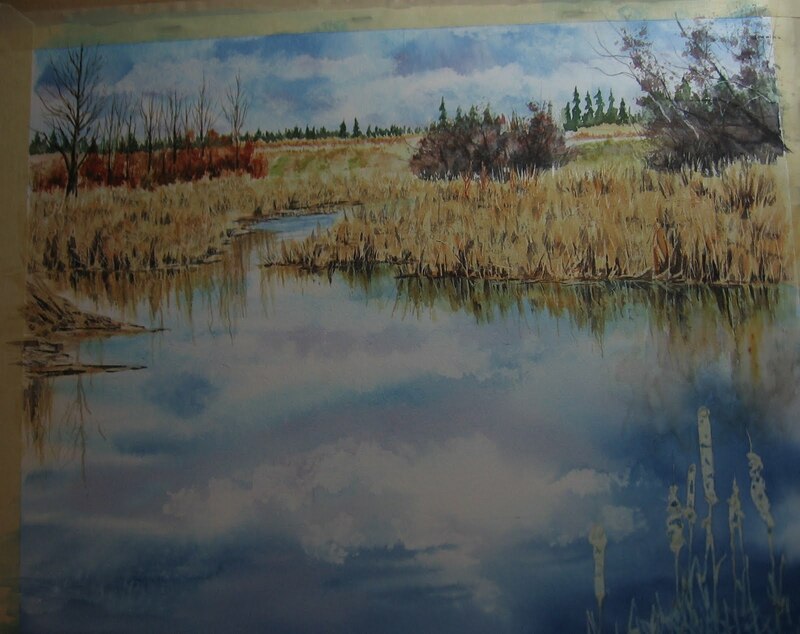 Details in the reflections are added. 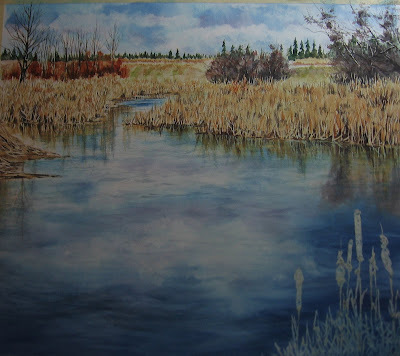 Fifth wash: Time for more detail in the water to give it depth and movement. 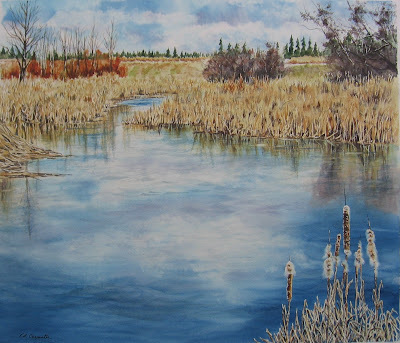 The last details are the cat tails and reeds in the immediate foreground. Wow, this is so cool! I had no idea what the process was, and this was truly fascinating to see. Thanks for sharing. I love the painting, too - the reflections in the water are great.